At Railroad Nursery, we pride ourselves on our commitment to customer service excellence and ‘Growing Fine Quality Plants’. Our ‘Quality Express’ promise ensures you receive top notch plant material and amazing customer service from our sales team and staff. 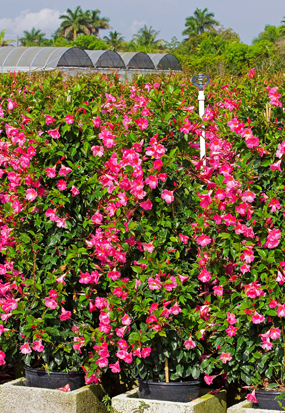 Our attention to detail, clean and well-maintained growing environments and dedication to our customers has solidified Railroad Nursery as one of the most reputable flowering and foliage growers in South Florida. We are committed to establishing and maintaining a successful business relationship and look forward to the opportunity to serve you.